Did you know that a remarkable part of you exists that is above and beyond conditioned human thought? It has no pain, no fear, no painful cravings, no doubts. It knows everything needed to be known for a successful and happy life it s your Supermind. And now this step-by-step guide shows you how to get in touch with this part of yourself and tap into its power to end defeat and failure and find natural freedom and happiness. 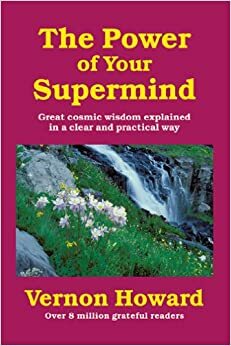 You ll discover how to use your Supermind to: Think more clearly and solve problems quickly. End hidden pain, sorrow and stress. Improve relationships with friends, family and associates. Use new and refreshing solutions to end difficulties. Answer baffling questions about your purpose here on earth. Free yourself of pressures and live serenely. Win inner riches from a cosmic change of self.